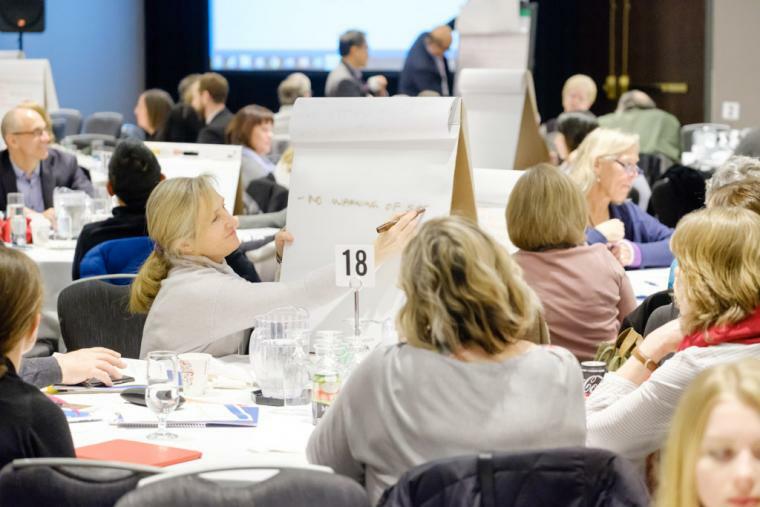 The one-day summit was created by the Specialist Services Committee, along with the Shared Care Committee and GP Services Committee (partnerships of Doctors of BC and the BC government) and the BC Patient Safety & Quality Council. The purpose – to learn about, discuss and expand on surgical improvement relative to BC’s surgical services strategy. It was a platform to come together and learn about the great work happening across BC and in Canada, and to strategize how to expand this work further throughout the province. The summit focused on two topics: Pre-Surgical Optimization and building on the highly successful work of Enhanced Recovery. The full day included presentations, many networking and learning opportunities and ended with brainstorming with a panel of experts on how to ensure the great work continues and is supported to spread across the province. Evaluation of the event rated scores of Excellent to Above Average for meeting the stated objectives and information needs. Surgical improvement strategies have many moving and integral parts, but their aim is simple: make it easier for patients who have to undergo surgery to recover as quickly as possible through safe, efficient and effective pre-op, operative and post-operative processes. Learn what some participants had to say by viewing a short video. https://youtu.be/rYf7I96badQ or see presentations and learn more about the event.